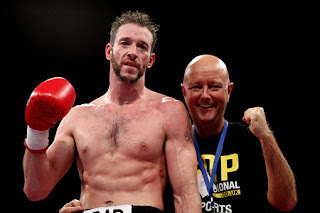 According to the BoxNation schedule on the worldboxingnews website, Enzo Maccarinelli's first fight back from his 6 month ban will be against the brutal punching, Ovill McKenzie. You don't need me to tell you that this fight will be exciting while it lasts. Someone will get knocked-out, and it will probably be Enzo Maccarinelli. As much as I like Enzo, he just can't take a punch any-more. I have no doubt in my mind that Ovill McKenzie is more skilled, and a big puncher than Shane McPhilbin, and McPhilbin almost stopped Enzo in one round. But, Enzo is a brutal body-puncher, McKenzie certainly isn't Floyd Mayweather defensively, Enzo could get the KO, but I just feel the fresher, faster McKenzie will get their first. This fight could end in one round, I'd be surprised if it get's past three. The winner of this bout could fight Nathan Cleverly, I'd be more pleased if McKenzie was the one to win and fight Cleverly, but whoever wins between Maccarinelli and McKenzie will have to do a lot more to deserve a World Title fight. Enzo Maccarinelli Vs Ovill McKenzie, who wins this fight? Would you like to see the winner fight Nathan Cleverly?